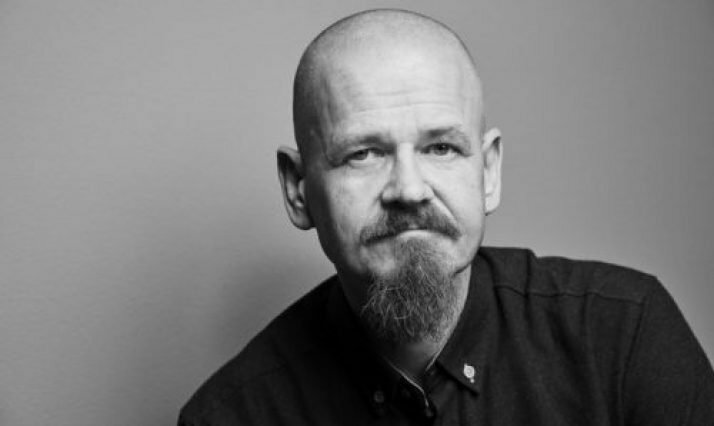 Danish author Kim Leine will be featured at this year’s Foire du Livre de Bruxelles. The Brussels book fair, held at Tour & Taxis, runs from February 14th to 17th and brings together a wide range of European authors, publishers, translators and literature lovers. In collaboration with EUNIC Brussels and the European Commission, Danish Cultural Institute is happy to announce the presence of Kim Leine at our common platform Place de l’Europe. The overall theme for this year’s edition of Brussels book fair, celebrating its 50-year anniversary in 2019, is Nos futurs (EN: Our futures) – in which direction is European literature heading? Together with great voices of Estonian and Hungarian literature, Tiit Alksejev et György Dragomán respectively, Kim Leine, renowned for his historic novels and semi-autobiographical portrayals, will participate in a panel discussion on current tendencies in European literature and the future of the historic novel. The discussion takes place Sunday February 17th, 12.00 at Place de l’Europe. Tickets are free – get your pass here. Born 1961 in Norway, came to Denmark at the age of 17. Worked for 15 years as a nurse in Greenland before making his debut as an author in 2007. 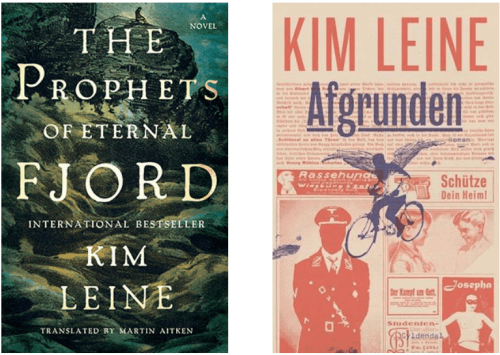 Kim Leine’s œuvre includes autobiographical as well as historical novels taking place either in Greenland or in the war-ridden Europe from the past. His debut novel from 2007, Kalak, as well as the sequel from 2009, Tunu, depict the harsh conditions of a young Dane in Greenland, his ups and downs and encounters with the local society as a nurse. In his historical novels, Leine a.o. portrays the Danish war activity over the centuries – always from the deployed soldiers’ point of view – and treats themes such as the colonization of Greenland, the Finnish civil war and the interwar period. Especially the novel from 2012, The Prophets of Eternal Fjord, gained national and international recognition as it was awarded, among others, Nordic Council’s Literature Prize and came out in 23 countries, including France (Les prophètes du fjord de l’Éternité). Based on actual events, the novel tells the story of a Danish pastor who is deployed to Greenland in late 17th century. Another historic novel, The Abyss (FR: L’Abîme) from 2015, follows a pair of twins from volunteering in the Finnish Civil War in 1918, to their homecoming and life between the two wars and finally their activity in the Danish resistance movement during WW2. His recent work, Red Man/Black Man from 2018, takes place during the Danish colonization of Greenland in 1728 and describes the cultural clash and its entailments. In collaboration with, and supported by, EUNIC Brussels and European Commission.